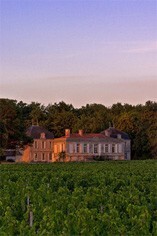 Picque Caillou is a Pessac-Leognan-based Bordeaux wine estate with a long history but with no reputation for quality until very recently. Then in 1947 it was purchased by Etienne Denis, an entrepreneur who lived in Indo-China but who entrusted the estate to competent managers. His granddaughter Isabelle took over in 1997 but the real step-change occurred in 2006 when her husband, Paulin Calvet, came into the picture. Paulin comes from a famous Bordeaux wine family and has brought his vast experience to bear in improving every aspect of the viticulture and vinification. The white grapes are very gently pressed before the juice is passed into oak barrels, 20% new, for fermentation. The lees are stirred on a weekly basis for 6-7 months until the wine is bottled in May. This is definitely an estate to watch.